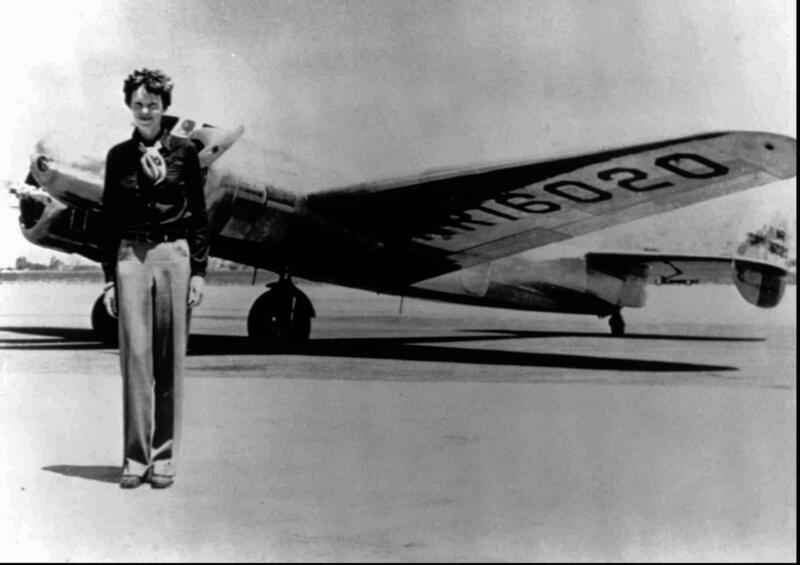 Amelia Earhart and the Lockheed Electra 10E NR16020 in which she and navigator Fred Noonan disappeared in July 1937. The author of the article is Richard L. Jantz, Professor Emeritus of Anthropology, and Director Emeritus of the Forensic Anthropology Center at the University of Tennessee at Knoxville. According to his Wikipedia entry, Jantz’ research focuses primarily on forensic anthropology, skeletal biology, dermatoglyphics, anthropometry, anthropological genetics, and human variation, as well as the development of databases to aid anthropological research. Jantz is a prolific author, and his research has helped lead and shape the field of physical and forensic anthropology for many years. In the paper in question, he concludes that the bone fragments found, analyzed and subsequently lost in the 1940s are most probably those of Amelia Earhart. The paper is a significant work, drawing on Jantz’ own expertise and a re-evaluation of the data recorded in Fiji in 1941, the last (and probably only) time that the bones were subjected to scientific analysis. Jantz says that additionally, information concerning Amelia Earhart’s body dimensions came to light in 2017 through a new study of Earhart’s clothing, held in the George Palmer Putnam Collection of Amelia Earhart Papers at Purdue University. The article challenges two assertions. Firstly that the bones were those of a stockily built male about 5’5″ in height. Secondly, notwithstanding speculation at the time, the skeletal remains were not considered to be those of Amelia Earhart because she was always thought to be tall, slender, and gracile (a word I have never used or read until now). The re-evaluation of the bone data, and measurements taken from her clothing, suggest that despite being 5’7″ tall and presenting a fairly elfin figure, Earhart was apparently a little more stocky in build, and around 20 pounds heavier, than contemporary accounts and the evolving legend (courtesy no doubt of George Palmer Putnam) would have us believe. It’s comforting to this part-time academic that the article itself was received by the journal in August 2017, was revised in October, and accepted for publication in November 2017, finally appearing in Vol.1, No. 2 in March 2018. The academic publishing process is as tortuous as ever. I await with some interest the response of the supporters of the other theories.